Celebrating nature, wildlife and inspirational landscapes. A gallery of nature photography showcasing some of the beautiful areas we have in Ireland and the UK. This photograph was taken as Hurricane Ophelia was moving across Ireland in October 2017. 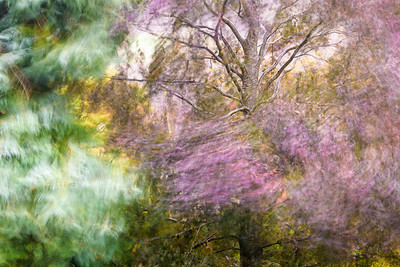 It was one of the most severe weather events to hit Ireland for over 50 years and as we were essentially advised to stay indoors it was shot through the window at gardens beyond... the trees managed to survive the storm! Soft Winter sunlight shining through the early morning mist, slowly melting away the frost on the rust-coloured bracken fronds. 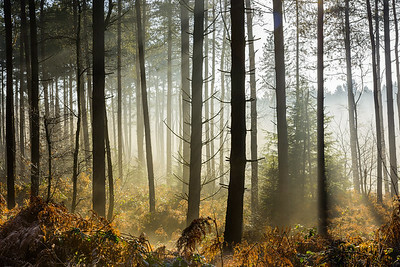 This sunrise scene was photographed just after Christmas 2016 in Delamere Forest in Cheshire, England; an ancient woodland dating back to the 11th century and originally established as hunting grounds for Norman Earls. Poulanassig Waterfall (also known as Mullinhassig Waterfall) in full flow on an Autumn afternoon. Local folklore has it that a mermaid, in the form of a salmon, resides in the pool and by approaching quickly in the evening she might be seen combing her hair on a stone 'stool' to the left of the waterfall... if she senses you she dives straight to the bottom of the pool! 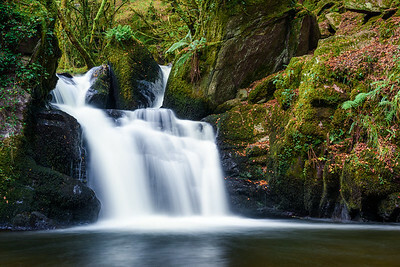 The waterfall is located in a small but picturesque area of woodland near the village of Coachford in County Cork, Ireland. 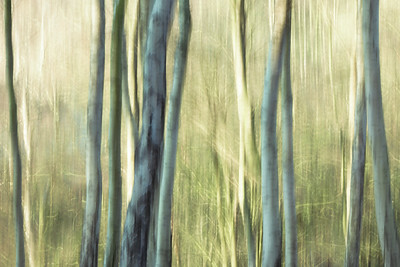 An abstract view of a stand of silver birch trees photographed on Frodsham Hill in Cheshire, England. This is the area I grew up in and know and love well… it's a beautiful landscape of silver birch woods punctuated with weather-worn sandstone cliffs and bracken covered slopes.